I just read an amazing book, y'all — A Geek Girl's Guide to Murder by Julie Anne Lindsey. Let me tell you a little about it. Geek Girl Mia Connors is the Information Technology Manager for Horseshoe Falls, "an elite gated community designed for nature lovers." As our story opens, Mia is going to a mandatory meeting for all of the Horseshoe Falls staff. The clubhouse manager, Randall Gershwin, called the meeting because some of the Falls residents are getting bent out of shape about recent problems with the Falls' email and appointment systems. There have also been two residences broken into recently. Mia wonders if there is a connection, or just a coincidence. The board of directors is threatening to fire everyone if these problems aren't cleared up immediately. Randall gives Mia and her staffer Warren a deadline of "yesterday" to find the cause of the problems, and the solution. Another conundrum troubling Mia is the timing of the arrival of the new head of security. Jake Archer's first day of work at Horseshoe Falls is the same day as the mandatory staff meeting when all of the problems were discussed — coincidence or connection? Mia's and Jake's work relationship gets off to a rocky start right away. After the staff meeting, two of Mia's friends, Baxter and Nate, drop by her office with some important news, but Jake throws them out before they can tell Mia. Mia texts Nate and Baxter about getting together for pizza that night. When it's time to meet up for their pizza dinner, however, her friends are nowhere to be found. Later that evening, while she's still searching for her friends, Mia is alerted by the police that a silent alarm has been triggered at the Horseshoe Falls clubhouse. She goes inside the building to stop the alarm and check for intruders. The only intruder Mia finds is her friend Baxter, seated at her desk in her office, dead. She still can't find her best friend Nate, by phone or in person, and now she really needs him, after finding Baxter that way. Spoiler Alert: Mia finds Nate eventually, after a lot of plot twists along the way. You may be wondering about this sentence from the blurb: "Renaissance Faire season is in full swing and Mia’s family’s business relies on her presence." I'm not even going to try to explain this one. I'm sure I couldn't do it justice. Just read the book! The Ren Faire and the family business are definitely enjoyable sub-plots. Any scenes with Mia's zany family are enjoyable as well. The ending of A Geek Girl's Guide to Murder is quite satisfying, yet leaves me eager to read more about Mia, her family, Nate, and Jake. 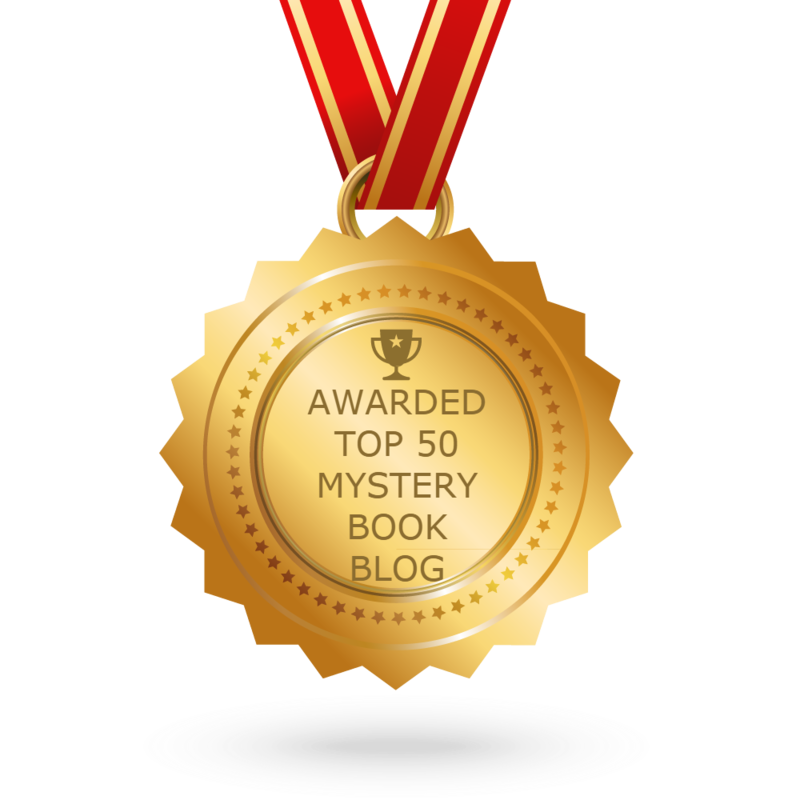 I was delighted to read on Author Julie Anne Lindsey's blog that there will be two Geek Girl Mysteries published in 2016. A Geek Girl's Guide to Arsenic, Book #2, will be released on March 7, and is available for pre-order now. A Geek Girl's Guide to Justice, Book #3, will be released in October. I am looking forward to reading both of these! Reading between the lines wasn't my strongest social skill. Neither was being objective or making small talk, which probably explained my love of technology and nearly-thirty-and-still-single status. I bowed to Marcella and headed to my office, by way of the concierge desk. Why did I bow to Marcella? Group settings brought out the weird in me. My heart stammered. Why was he grilling me like this? I couldn't take confrontation. I babbled. I behaved stupidly. I filled quiet moments with my personal brand of crazy. I loathed Punisher the minute I saw his dumb screen name. REIGN is a medieval kingdom game. Punisher is a Marvel Comics character. Get your fandoms straight, man. The ability to deal with traumas wasn't in my mental toolkit. Denial and I, on the other hand, were intimately familiar. I hope these mini-excerpts give you a feel for Mia's (and Author Julie Anne Lindsey's) wit and humor. There is some technical jargon, which I enjoyed, because I took a few computer programming classes in college. 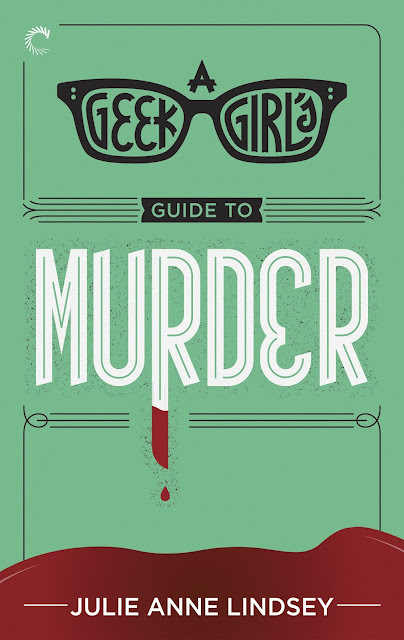 I think that a reader who isn't tech savvy would have no problems with A Geek Girl's Guide to Murder, however. In other words, you don't have to be a Geek Girl to read about a Geek Girl. I highly recommend Julie Anne Lindsey's A Geek Girl's Guide to Murder — a fun, entertaining, unique, and can't-put-down-able mystery. 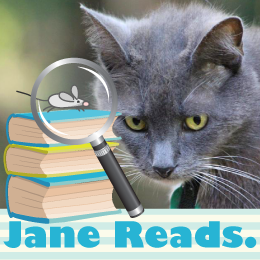 It's a great read, to which we grant our highest rating of Five Kitties! Don't miss this one, y'all. Note: I received a complimentary copy of A Geek Girl's Guide to Murder in exchange for my honest review. Follow the tour, to read other reviews plus Author Guest Posts and Author Interviews! 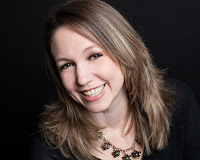 Julie Anne Lindsey is a multi-genre author who writes the stories that keep her up at night. She’s a self-proclaimed nerd with a penchant for words and proclivity for fun. Mother of three, wife to a sane person and Ring Master at the Lindsey Circus in rural Ohio, most days you'll find her online, amped up on caffeine and wielding a book. Julie started writing to make people smile. Someday she plans to change the world. Julie will award a total of six prizes to six randomly drawn winners via rafflecopter during the tour. 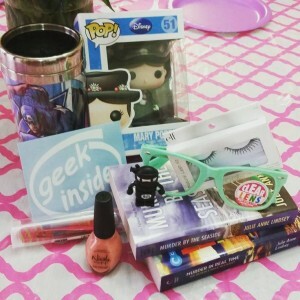 The prizes include five E-Copies of A Geek Girl’s Guide to Murder.